WE NOW HAVE A MENU JUST FOR YOUR CATERING NEEDS!!! LOTS OF ITEMS TO CHOOSE FROM THAT ARE SURE TO IMPRESS! SHOWCASE IS ALWAYS A CROWD PLEASER! 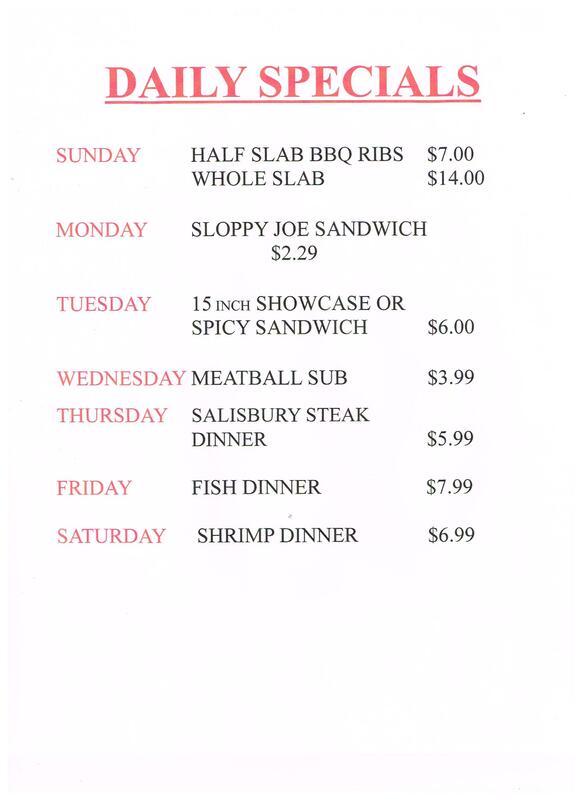 Showcase Meats has been a family owned and operated business since 1971. The owner and his wife started out as your neighborhood meat market. 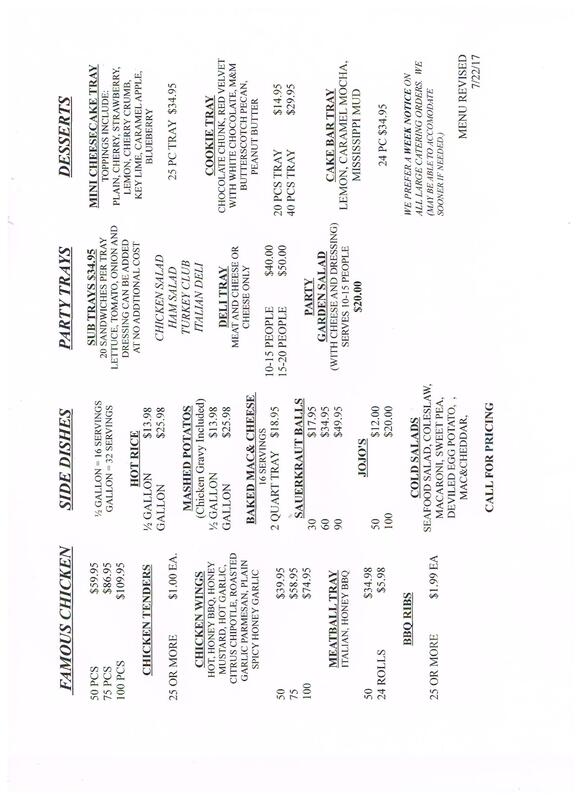 Through the years they added many items such as deli, subs, pizza, ribs and most importantly what we are known for, OUR FAMOUS PRESSURE COOKED CHICKEN!!! We love what we do and take pride in it especially when it comes to customer service. With the 2nd generation stepping in they are ready to take things to the next level! In the past year we have now started our own in house bakery and catering line! Business has been great and we plan to keep it going! We look forward to seeing you soon!